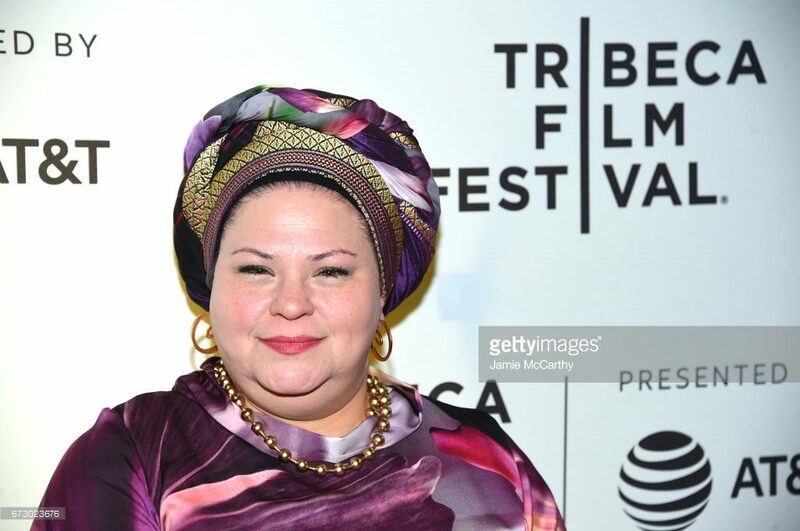 During our interview at the Tribeca International Film Festival last month, Rama Burshtein made the comment that she doesn’t make films for her community, she makes movies about her community. A member of the Orthodox Jewish religion since the age of 25, she’s well aware that showing the universal side of their own unique lifestyle has the ability to break down walls. The mother of four, it took Burshtein 15 years to complete production on her debut film, the melodramatic Fill the Void…but only four years to get her sophomore film into theaters. 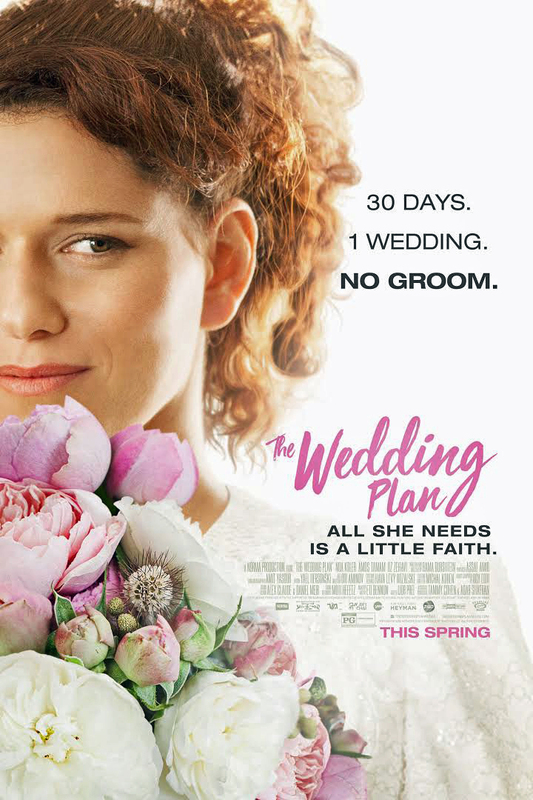 While both films are about a woman’s impending marriage, The Wedding Plan takes a lighter approach to the subject. "Michal" -- pronounced "Mih-Khahl" and played by Israel’s newest star Noa Kooler -- is a 32-year-old woman desperate to marry…only to have her wedding called off a month before she walks down the aisle. Rather than cancel it altogether, she turns to religious prayers and fate that her one and only will be found in time to keep the date. We spoke about her international crowd-pleaser, her love for Australian TV, and the film’s unexpected “alternate” title. Lesley Coffin: I know that at the press events you’ve done for the film, you’ve mentioned having a desire to show the universal elements of lives within the closed, Orthodox community. What initially inspired or motivated your desire to use filmmaking that way? Rama Burshtein: I truly see myself as a storyteller, and knew I could either write a book or make a film. And I wanted to make films not to model the behavior of my community for those already within it, but show the heart of those women that are religious. The misconception of the Orthodox faith is we somehow lost our heart when we choose this way of life. And I don’t believe that. Lesley Coffin: This film and your last one both focused on the lead up to a wedding day. What do you like about having a wedding at the center of your film, driving the narrative? Rama Burshtein: The films are both about women finding love, but in my world, that results in marriage. But both films are about women not giving up on the hope that true love could be out there. For me, to be open to that kind of hope means being open to possibilities. And I think this new generation lacks that hope for true love. That was my character’s journey, and a wedding at the end of that journey’s just where my characters would end up after finding love. Lesley Coffin: Michal has aspects of her personality that people seem to feel are in direct contrast to the choices she’s made in her religion. There’s the moment when she’s holding the snake and is asked “What if a man wants a delicate flower?” Where did her character originate from? Was she inspired by anyone from your own life or a surrogate for yourself? Rama Burshtein: She’s a woman who’s become religious. Her mother is not religious. Her sister is not religious. And she is very different from the main character in Fill the Void, who doesn’t understand her feelings and is very confused. She knows what she feels and she knows what she wants. And it may not be clear in the film, but she had that petting zoo long before she became religious, and she’s having difficulty transitioning between the two worlds. People are a little scared of her new life, they don’t really want to touch it. That scene of her looking at Snow White and holding a snake is full of contradictions. She made a choice to join the religious world, and I wanted to show that tension. She’s going through a spiritual journey as a believer in true love, she’s deeply religious, and she knows the modern world’s movement and colors from first-hand experience. She’s not disconnected. I wouldn’t call her a surrogate but I certainly relate to her. I’m 50 years old and have lived more years as a secular woman than as a religious one. And my memories weren’t built on going to the synagogue but going to the theater. So the mixtures of those two worlds created a very different kind of species which I am and which Michal is. I think it makes us very vibrant and alive, and very strong in our beliefs because of what we’ve experience in both worlds. This was a film about my world, but it isn’t autobiographical. Lesley Coffin: What artistic influences did you draw from? Rama Burshtein: Well, I see every film. I feel it’s my responsibility because I know that my audiences are not my community. And the language in the world evolves so quickly, film is a window into their world. The character was inspired by a show in Australia called Offspring. It’s very interesting, because Australian TV and film are so different from American and British film and TV, even though they both speak English. They seem to just do whatever they want. I love their TV and cinema, it’s so different. And I love the actress in that film, if I ever did a film in Australia or and English language film, I’d want to do it with her. Her name is Asher Keddie and she’s amazing. Lesley Coffin: What about the lead actress on this film? She’s so charming and warm on screen, but I understand she hadn’t done a lot of acting on screen before. Rama Burshtein: Her name is Noa Kooler, she’s an actress in Israel who primarily works in live theater. And people in Israel know she’s talented, she just hadn’t been given that big chance. Which I thought was crazy because she is charming and extremely talented, in ways none of the other actresses I auditioned were. It was her time, it was our time together. She’s 36 years old and now she’s only getting leading roles. It’s my luck, because there’s no one else like her. Lesley Coffin: Had you seen her on stage? Rama Burshtein: I don’t really go to the theater anymore, but she came into the casting and brought something immediately. We connected right then and there. Lesley Coffin: When it came to writing the men she goes on dates with, I was impressed that you didn’t present them as losers or being the obvious “wrong” choices. There’s just something missing about them for Michal. Rama Burshtein: I think when you give yourself over to hoping for something, anything’s possible. And people she wouldn’t have considered before are worth consideration. And she’s more willing to be charmed, so she finds them charming, just in different ways. It says a lot that when looking for the good in people, you find the good in them. As the screenwriter I did that work for the viewer. There was a time when I considered calling the film All the Gorgeous Men You Meet, because I found them attractive and good looking. All of them. The audience had to feel at times that they would like her to be with them. The question was, will these gorgeous guys go for Michal? But I cast Noa and no one’s asking. Because the audience falls in love with her. It’s believable that the rock star would want to marry her. Lesley Coffin: When you started working on the film, did you intend to make a romantic comedy? Rama Burshtein: Like I said before, there’s a lot of me in the film. And that tone’s more like me than perhaps Fill the Void’s sadder, dramatic story. I didn’t decide the type of film I was going to make or plan to make a genre film until I started writing. And there are people who seem to cry the whole time, they’re so moved by the film. But for me, I felt a need to cover her journey as a romantic comedy, to encourage people to go through that ride with her. Otherwise they may feel antagonized by the film or manipulated by it. It kind of helps the audience by providing laughter.